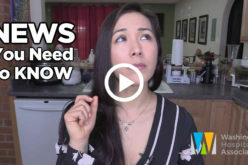 Premium collections for Washington’s Paid Family and Medical Leave program begin Jan. 1, 2019. Are you prepared? We have a toolkit ready for you– including a webinar, employer checklist, sample paystub language, an infographic, how to calculate the premiums in QuickBooks and more. The Department of Labor & Industries has extended the comment deadline until Dec. 31 and this means you still have time to submit yours. As a reminder, L&I is considering increasing the overtime salary threshold up to $70k per year, which would trigger overtime pay for any employee at a salary below the threshold. How will this impact your employee’s growth and your business? We need your help! Please submit personalized comments on the proposed rules. Your comments have the power to help shape these rules. Hill Climb is Jan. 28, 2019! We are Washington hospitality and Hill Climb is our time to showcase what we in the industry already know – we care about our people, we are an industry of opportunity, and we strengthen communities. This year our legislative agenda focuses on workforce development, affordable housing and more. Together we can find and support solutions, however we need you to come share your journey in the hospitality industry. 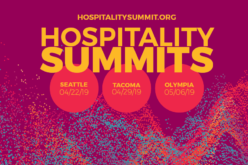 Register today and reserve your spot for the Washington Hospitality Association’s day at the capitol and Taste Our Best industry celebration. The Dept. of Labor & Industries has just released a second draft of administrative policy on tips/gratuities/service charges. This second draft is a follow up from the version released in August. 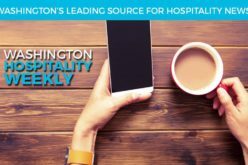 The Washington Hospitality Association views this draft policy as good news for the industry and for our members. Read the second draft policy and comment here. Comments on this draft are due to L&I by Jan. 7, 2019. The Tacoma City Council approved an ordinance regarding single-occupant public restrooms last week. The ordinance was drafted to create more inclusive spaces by changing signage on single-occupant public restrooms to be gender-neutral. The ordinance will go into effect on June 1, 2019. For more information about the ordinance, click here. Make sure you are compliant with the 2019 rules and regulations, including giving employees written information about their job and pay. The Office of Labor Standards employer resource website has checklists and posters available.